EcoHack Africa 2018, organised by AfricaGen, is the first Pan-African green economy blockchain hackathon that will bring together 100 programmers, economists, and environmentalists from around the globe to congregate in Kigali, Rwanda. Their objective is to build an open-sourced blockchain based green economy platform for Africa – the Sahara Marketplace. The Sahara Marketplace will be a one-stop centre for individual farmers, entrepreneurs, cooperatives and institutions to raise funds for agriculture or ecosystem services through carbon credits, crowdfunding, and grants from individuals, businesses, multinationals and aid organisations. The hackathon is co-organised by AfricaGen, the Rwandan Ministry of Youth, KLAB and Rwanda ICT chamber, with technical collaboration with the Rwandan Ministry of Environment. It aims to create a real-life blockchain application building experience to encourage the creation of a blockchain industry in Rwanda and in Africa. Africa gets about 3% of the $35 Billion carbon credit market, while India and China get about 70% of the total. This platform aims to bring more of that money to Africa, as an alternative and in addition to traditional development financing. 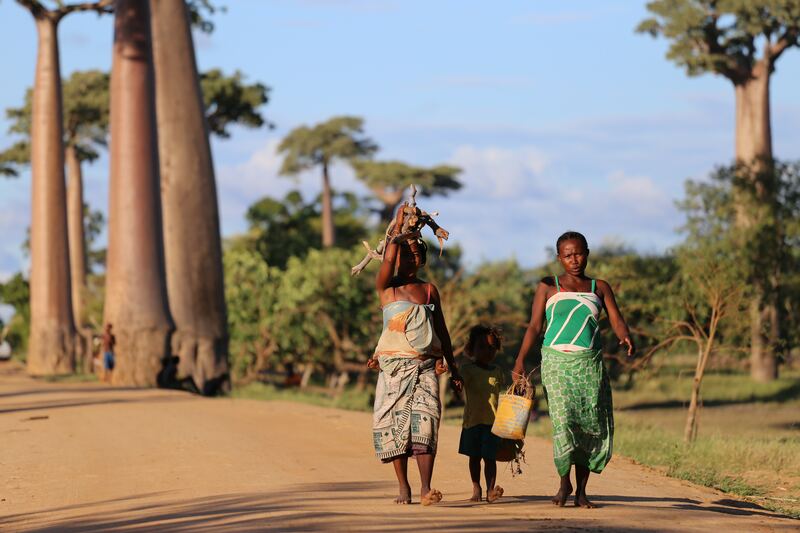 Increasing Africa’s share of carbon credits from 3% to 10% would bring in $2.5 Billion in much-needed financing for the continent’s most vulnerable population. The hackathon will use “NYANDUNGU URBAN WETLAND ECO-TOURISM PARK” as the main case study to build the platform. The Nyandungu Park is a project to restore a degraded wetland in Rwanda capital Kigali and transform it into an eco-tourism park. The park is owned and developed by Rwanda Environment Management Agency. The hackathon will also work on solutions for two of Africa’s most ambitious ecological projects: – “Great Green Wall for the Sahara and Sahel Initiative” (GGWSSI) which aims to restore the rapidly deserting lands around the Sahara desert, and form a barrier against further desertification; – “the AFR100” initiative which seeks to restore 100 million hectares of degraded land throughout Africa. The sixth edition of YouthConnekt Africa (YCA) will take place between October 8-18, 2018 at Kigali Convention Centre with the theme: “Connekting Youth for Continental Transformation”. 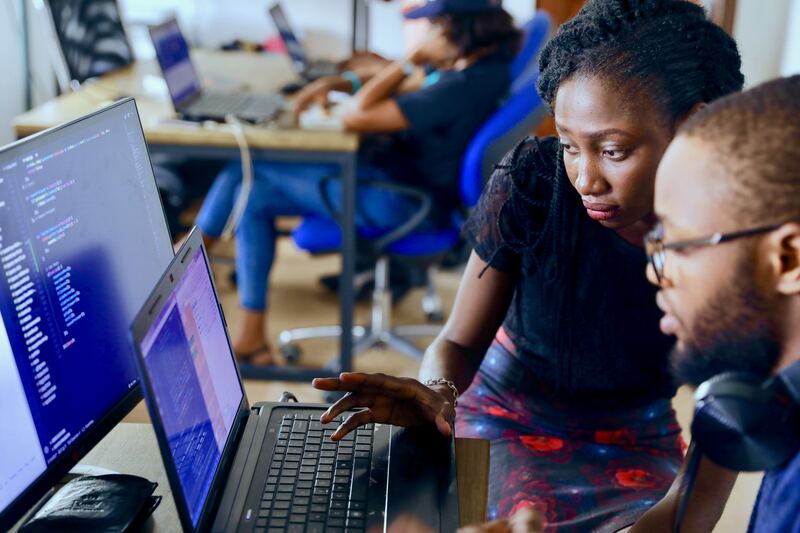 Launched in 2012 in Rwanda, YouthConnekt Africa has emerged as a high-impact solution for African countries to realise the demographic dividend. YouthConnekt has been embraced for its innovative design and implementation providing youth with the skills, networks and information needed to scale their initiatives and gain meaningful employment. To date, six countries have already launched YouthConnekt and many others are in the process of emulating the model. Africa’s greatest resource is arguably its nearly 420 million youth. Yet, this tremendous asset is relatively untapped largely due to limited access to education, health services mentorship, finance, employment opportunities required to meaningfully participate in the continent’s socio-economic transformation and realise the demographic dividend. AfricaGen is a Pan-African youth do-tank organisation with the ambitious objective of mobilising 1 million Africans for the development of the continent through technology and innovation. AfricaGen focuses on open collaboration in order to build home-grown solutions in the most efficient way possible. DAR ES SALAAM, Tanzania, April 15, 2019 /PRNewswire/ — Belfrics Group, one of the largest international blockchain conglomerates of the world, in association with Dar Es Salaam Institute of Technology (DIT), one of the leading technology and engineering institutes in Tanzania and the East African region, today announced a joint initiative to develop a pool of talented and skilled technology professionals for blockchain as a domain. Belfrics Academy SDN BHD, the research, international training and skill development vertical of Belfrics Group of Companies, would lead the efforts to address the knowledge gap and the rapidly growing requirements Blockchain Talents in the industry. DIT, being one of the leaders in the space of capacity building for the latest technologies in the industry, keenly believes blockchain to be the next big wave in the digital transformation of the world, and especially, Africa. Similarly, Belfrics Group of companies has been one of the leading conglomerates spearheading the blockchain movement across the globe. With its presence in Asia Africa Middle East and South America regions, Belfrics is one of the few global companies to have worked with government bodies, financial regulators, and conglomerates for a blockchain-ready infrastructure. “We are pleased to see educational leaders like DIT come forward and being open to the need of the industry. I would say, that this is the right time, between being proactive or before being reactive to the industry demands. Employment and development is Key, and for that we must understand where the future is. DIT is doing just that. In fact, we’re pleasantly surprised to see the level of awareness and requests from other prestigious institutes from the East African Region for blockchain skill development. Since we are one of the major blockchain talent hirers ourselves, we are very much aware of the quality and quantity of the talent available currently. Such collaborations are required to address the current gap,” says E C Uday Senan, Global Strategist — Belfrics Academy. “Blockchain technology is among the emerging technologies that will soon revolutionize the internet and the ICT industry. Due to its inherent features, such as distributed system with no single point of failure, usage of cryptography for data protection, and fast data transfer and sharing of digital assets, Blockchain has huge potential and a number of applications, particularly in developing countries. To leverage the potentials of this technology, it is critically important we create awareness of the technology as well as build the capacity of our students, staff and the general public. This is exact what DIT will do in collaboration with Belfrics. This will enable DIT to become the hub of blockchain technology, the hub where capacity building of our people as well as experimentation and eventually development of the blockchain systems for improving government service delivery will take place,” says Dr Joseph W. Matiko, the Director of ICT Centre at Dar es Salaam Institute of Technology. “DIT is positioned to support the industrial economy by creating skilled workforce for the nation. Therefore, collaboration between DIT and Belfrics is important for capacity building of our students and staff and creating the digital skilled workforce in the country. We are really pleased to establish this collaboration because it is in line with our strategies of teaching factory concept and engagement of the industry in teaching and learning activities,” says Prof Preksedis M. Ndomba, Principal of the Dar es Salaam Institute of Technology. “We are excited to partner with Dar es Salaam Institute of Technology (DIT) on the launch of Blockchain Trainings for Corporates, DIT Students and Staff Members and the Tanzania Community at large. Blockchain Technology ensures digital skills are accessible to Tanzanians particularly youth and supports with securing meaningful opportunities where they can apply their talents, ideas and expertise to advance the Country’s economic, Industrialization and social development,” said Aziz Chonya, Director, Belfrics Tanzania. The collaboration between DIT and Belfrics comes in at a very crucial stage, with Africa being closely eyed as the next talent-hub by the world. With blockchain strongly anticipated to be the driver for the next stream of technological innovations, African countries “stand to benefit from this shift more than other nations because most of Africa has a Greenfield in banking, finance, health and other legacy infrastructure. Africa has a unique opportunity to leapfrog in many areas and develop new infrastructure and use cases to power the future” according to an article on medium. Belfrics Academy, the international research and skill-development vertical of Belfrics, is dedicated to customized blockchain training for Universities, Colleges and training institutes, and capacity building for Government bodies, Regulators and Private Organizations. Belfrics Academy also mentors and nurtures Blockchain talents by setting up Innovation-hubs within the University campuses to drive and mentor more blockchain talent and ideas. Belfrics is one among the very few companies who have developed and built their own blockchain, ‘Belrium’, which is now live and deployed, and which is being seriously considered as the technology carrier by many government bodies and conglomerates for solutions from identity data harmonization, to supply chain infrastructure, to smart governance infrastructure to healthcare infrastructure, around the globe. DIT and Belfrics Academy, through this collaboration, aim at nurturing as much talent as possible in the academic year of 2019, as the demand is rapidly increasing, thus resulting in employment of young Africans in this technology space. For more information about Dar Es Salaam Institute of Technology, please visit https://www.dit.ac.tz and http://belfricsacademy.com for more information about Belfrics Academy. Disclaimer: This is a press release. Readers should do their own due diligence before taking any actions related to the company, product or service. BitcoinAfrica.io is not responsible, directly or indirectly, for any loss or damage caused by or in connection with the use of or reliance on any content, product or service mentioned in this press release. As the popularity of cryptocurrencies has increased more and more, people are looking for ways to make huge returns on their investments. Most of these traders are using cryptocurrency trading bots to increase the value of their portfolios. Crypto trading bots are software programs that directly interact with cryptocurrency exchanges, monitor price movements, and place orders for users based on the market data they collect. Crypto trading is a challenging task that requires hard work, determination, and a strategic mindset; however, crypto trading bots have simplified this task. As we all know crypto trading bots execute the orders of the users without any intervention. The process is enhanced by well-created algorithms, which ensure a higher rate of success. When the traders do crypto trading without the help of bots, they have to spend lots of time to study the market. Crypto trading bots work independently, 24 hours a day, 7 days a week. WolfpackBOT is an automated trading software that executes orders at lightning speed using proprietary trading algorithms and proprietary “Werewolf” Trading Analysis configurations. Users can also customize the settings of the bot according to their personal trading style and preferences. WolfpackBOT is an advanced trading bot that allows simultaneous trading access to all compatible cryptocurrency exchanges that are available to the bot. The bot has the widest array of technical analysis tools that allow the bot to make successful trades, with highly precise, mathematically based strategies that have been tested and coded into the bot from the ground up. There are various preset settings available on the bot that can be selected by the users according to their needs and the trends of the market. For example, the bot’s proprietary Werewolf Bull Market setting is specially designed for when the base trading pair is in a Bull Run, while the Werewolf Bear Market setting is designed for when the base trading pair is in a bear run. When the market is sideways, there are Werewolf Sideways Market settings. These settings are optimized for their respective conditions and should only be used in those conditions. Wolfcoin is a utility coin that will be redeemable for WolfpackBOT subscriptions, the WolfBOX hardware console, and WolfpackBOT and Wolfcoin apparel and merchandise. The Wolfcoin is also coupled with Proof of Work mining and a Masternode reward system, furthering the appeal of the coin. 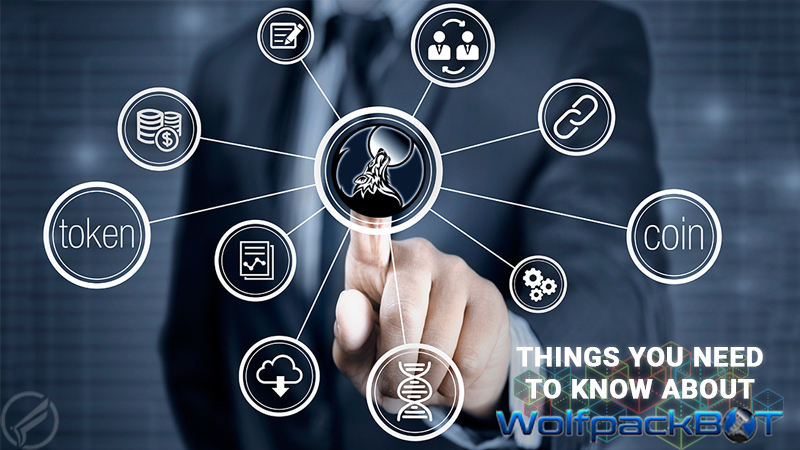 Wolfcoin holders who hold at least 10,000 WOLF in their dedicated masternode wallets will earn additional Wolfcoin rewards, which can be used to offset the cost of WolfpackBOT subscriptions. It’s an all-in-one system that combines automated trading, masternodes, and mining to deliver some of the most advanced technology in the cryptocurrency field today with the goal of helping all WolfpackBOT users and Wolfcoin holders achieve financial freedom and long-term trading success. A masternode is a crypto full node or computer wallet that keeps the entire copy of the blockchain up to date and running around the clock. Masternodes are used to power Private Send, Instant Send, and the blockchain governance system. For mining Wolfcoin the users will not only get the traditional Proof of Work (PoW) rewards but will also be rewarded for running and maintaining masternodes. Users who run the Masternodes will be incentivized. 80% of the block reward is allocated to pay the masternode network and 20% of the block reward is allocated to pay the X11 PoW miners. WolfpackBOT automated trading software offers three subscription packages payable in WOLF. The Wolfpack PaperBOT can be downloaded from https://www.wolfpackbot.com. This FREE version of WolfpackBOT’s software allows users to test strategies and take the world’s most advanced cryptocurrency trading bot for a test-drive by simulating live trading on exchanges without risking their hard earned capital. Disclaimer: This is a paid press release. Readers should do their own due diligence before taking any actions related to the company, product or service. BitcoinAfrica.io is not responsible, directly or indirectly, for any loss or damage caused by or in connection with the use of or reliance on any content, product or service mentioned in this press release. On Friday, April 12, 2019, the city of Lagos, Nigeria will receive a handful of delegates from around the world. 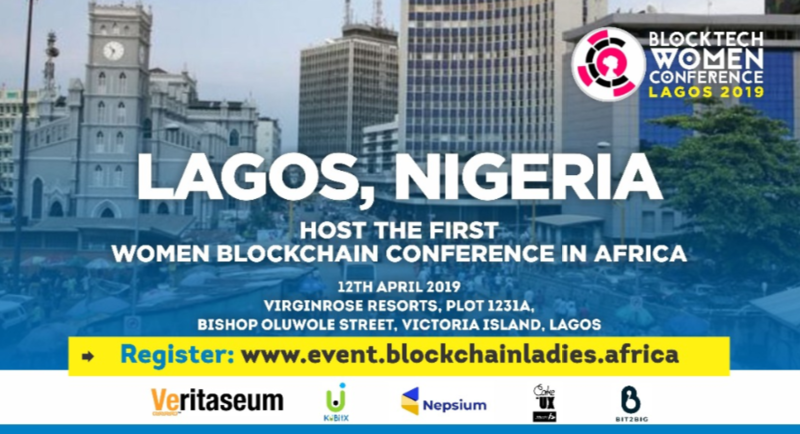 This time around they are converging for Africa’s foremost Blockchain Conference centered on women, 2019 Blocktech Women Conference. The event is billed to hold at Virginrose Resorts, Victoria Island, 8am prompt. New to the term “Blockchain”? The Blockchain technology is a shared, distributed ledger that facilitates the process of recording transactions and tracking assets in a business network. The Conference is billed to educate and train attendees on various aspects of blockchain technology; Women And Blockchain, Digital Assets Trading, Blockchain In Public & Private Sector, Blockchain In Supply Chain, Blockchain Application Programming & Coding, Personal & Business Branding, among others. Attendance is free for all and open to both males and females. The above-listed wealth of information will be delivered by are our renowned speakers; Reggie Middleton, Founder, Disruptor-in-chief and CEO of Veritaseum (USA), Lorna M.Johnson, CFO at Advanced Family Care Medical Group Inc (USA), Alakanani Itireleng, Founder at Satoshi Centre (Botswana), Genevieve Leveille, Founder at AgriLedger (Jersey), Maureen L. Murat, Principal at Crowdie Advisors (USA), Linus Kingdom, Managing Editor at eBlockbuzz (Nigeria), Heaven Bereket, Founder at Bambino Foundation (Sweden), Lindsay Nuon, CEO at Women of Color In Blockchain (USA),Lucky Uwakwe, CEO at SABI Exchange (Nigeria), Doris Ojuederie, Founder at Blockchain African Ladies (Nigeria), Nathaniel Luz, Executive Director at Cheetah Africa (Nigeria), Faith Obafemi, Blockchain Lawyer (Nigeria), among others. That’s not all. The Veritaseum (USA) representatives will be on the ground at the Conference to train attendees on trading digital GOLD via the Blockchain. To get the training started, Veritaseum will be distributing about $17,000 worth of its VeGold asset to attendees who had already completed their KYC verification on the VeGold trading platform; https://dapp.veritaseum.com. We are also pleased to inform you that representatives of SisiBox Period Subscription Package will be distributing 50 packs of their Combo Sanitary packs to 50 attendees at the Conference. SisiBox Lady Sanitary is designed to provide quality anion sanitary napkins for women at the lowest cost possible via the Blockchain technology while raising financially empowered and entrepreneurial driven ladies in the continent and beyond. To qualify for the free Sanitary packs, prospective attendees are required to register via the link below and thereafter give out their personal link to friends for registration: https://sisibox.com/blockwoman. The top 50 attendees with the highest referrals will each receive the SisiBox Combo Female Sanitary. The 2019 Blocktech Women Conference team will be waiting to welcome you at Virginrose Resorts, Victoria Island, Lagos on April 12, 2019.